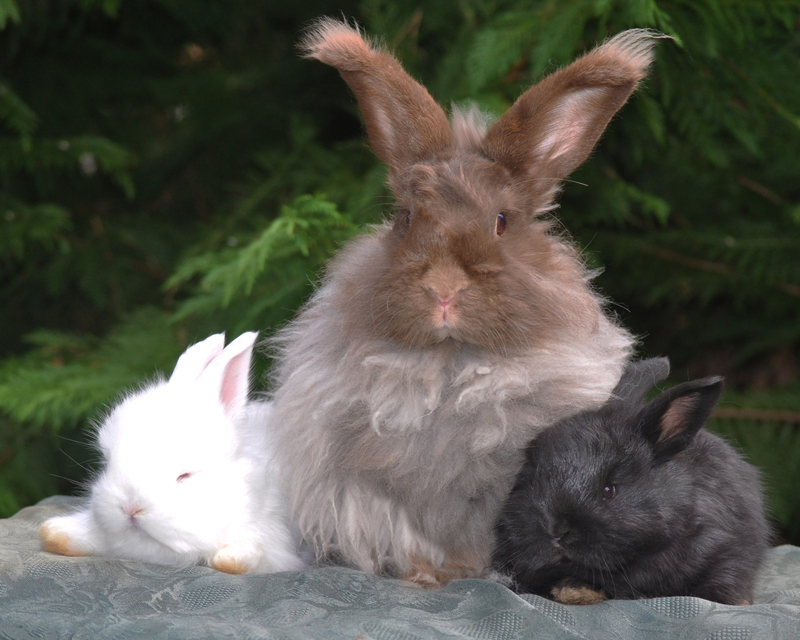 German Angora babies born 2-8-15. Mom is in the picture with them. Dad is Black. There is a buck and a doe. They will carry Chocolate. Both mom and grandmother are Chocolates. $250.00 each.